Scientists at Rice University, Texas and the University of Maryland reported their first success at engineering scaffolds that replicate the physical characteristics of osteochondral tissue, which is hard bone beneath a compressible layer of cartilage. Injuries to these bones can be painful and often stop athletes’ careers. Furthermore, osteochondral injuries can also lead to disabling arthritis. According to Rice, the key is mimicking tissue that turns gradually from cartilage (chondral tissue) at the surface to bone (osteo) underneath. 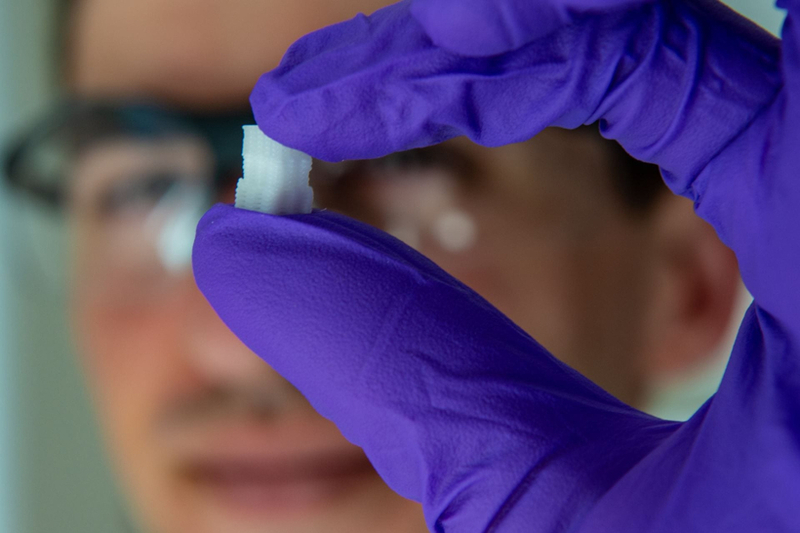 The Biomaterials Lab at Rice printed a scaffold with custom mixtures of a polymer for the former and a ceramic for the latter with imbedded pores that would allow the patient’s own cells and blood vessels to infiltrate the implant, eventually allowing it to become part of the natural bone and cartilage. Mikos said the collaboration is a great early success for the Center for Engineering Complex Tissues (CECT), a US National Institutes of Health centre at Maryland, Rice and the Wake Forest School of Medicine in North Carolina developing bioprinting tools to address basic scientific questions and translate new knowledge into clinical practice.